The remains of the largest castle in Devon are found in a stunning setting on a wooded spur above the rushing River Okement. 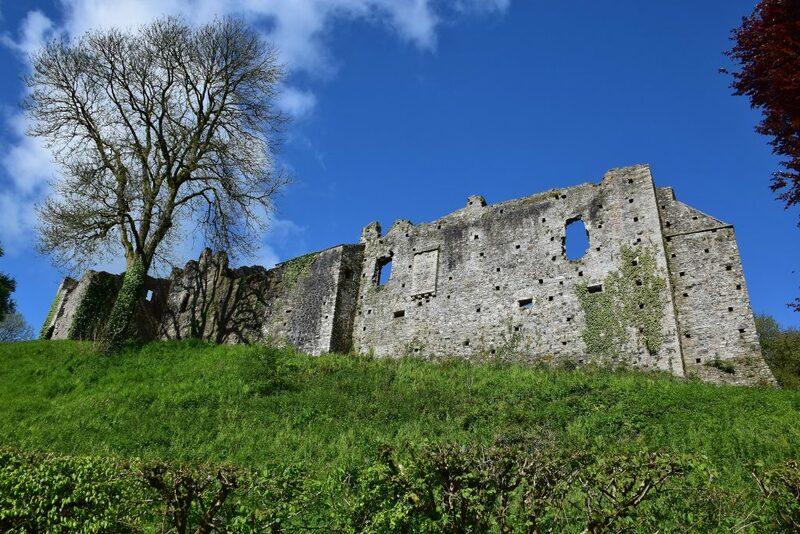 Begun soon after the Norman Conquest as a motte and bailey castle with a stone keep, Okehampton Castle was converted into a sumptuous residence in the 14th century by Hugh Courtenay, Earl of Devon, much of whose work survives. After the last Courtenay owner fell foul of Henry VIII in 1538, it declined into an allegedly haunted ruin. There is a riverside picnic area and beautiful woodland walks nearby. It’s also a great place for bird lovers with regular visiting species and in spring and early summer you can enjoy a variety of seasonal wild flowers, which adorn the meadow, woodland and motte. For more information, visit the Okehampton Castle website. Take a look at the new @MuseumsTogethe1 Twitter page as they prepare to launch a new initiative beginning on the 1st June 2019. Why not join in too & help strengthen the #MuseumsTogether community.